I've been a fan of Louella's wedding invitations for quite awhile, and now they have an Etsy store! 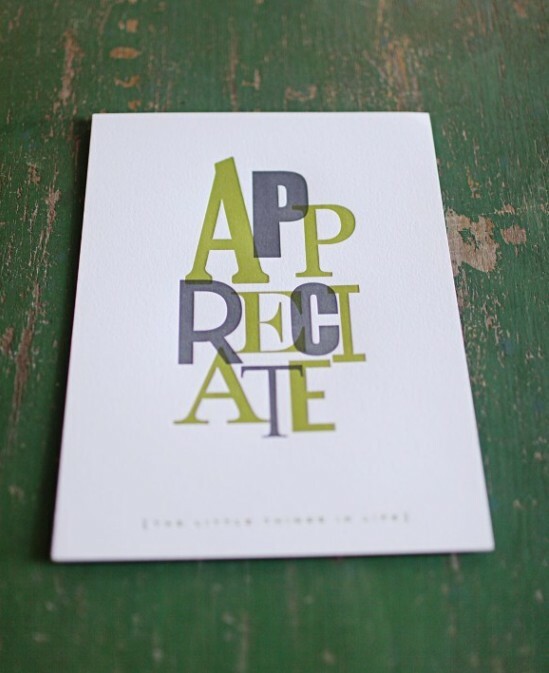 I think this "Appreciation" print is my favorite, but there are also some seriously cute birthday and thank you cards, among others. I'm a HUGE stationary nut. Well, I'm a huge nut who likes stationary.